He told me all about his summer vacation with the kids over to Europe. His family took a flight from LA to Paris, into Belgium, onto Germany and Austria – finishing in London. It lasted 3 weeks and involved six flights, trains, buses, Ubers, taxis, and hotels – an RV – a couple of nights camping in a tent as well as having to get the ferry over from mainland Europe to Dover, England. Sounds like quite a trip, doesn’t it? He told me that it was “the trip of a lifetime” and that all things went according to plan! He said over a year. It occurred to me right there and then that this business owner had spent longer planning his vacation than most owners do planning for business success. It seems that business owners want to do anything BUT plan for business success and yet when it comes to buying a house, a new car, going on vacation (all of the things are funded by the success of a business) those things are PLANNED for meticulously. And one of the reasons we’ve done so is that we have been able to get them clear on what success looks like – and what must be done to achieve it. … I’m watching a lot of people telling you to “work harder” and “hustle” even more. As if getting up one hour earlier and going to bed one hour later will solve your business problems. Any one of those three things is a much better strategy than depriving yourself of more sleep. I am proposing that you go back to basics and get a MARKETING PLAN that’ll set you up for sustained success in your clinic. It really isn’t all that difficult to get the jump in your business that you’re looking for – and it all starts with you having the right marketing PLAN to follow. I am sure that when you get it, you’ll achieve your financial goals much faster and with much less hard work and hustle. 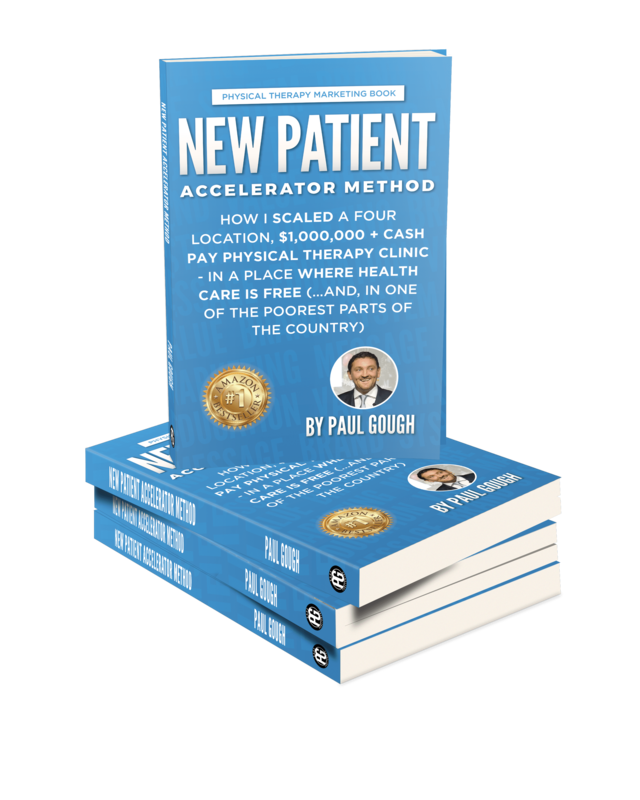 PAUL GOUGH is one of the top Marketing and Business Coaches in the physical therapy industry and his Systems are helping clinic owners all across America run more profitable clinics. 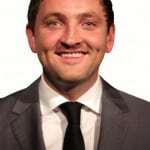 He is a published Author, Newspaper Columnist and before his stunning success in business was hired by top professional soccer teams. HIS SUCCESS STORY is one that inspires many pt's around the world - at the age of 26 Paul QUIT a high profile job in professional soccer to begin his own clinic. He had NO money, NO business or marketing skills and NO experience - and yet now owns and runs 4 pt clinics and has a proven track record of growing a physical therapy business from 0 - $2m in record time.